Safe and warm are the best words to describe this boat. 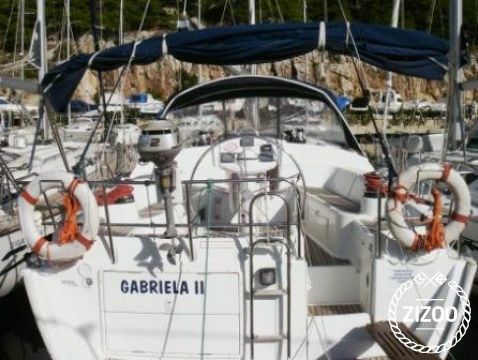 She is a fully equipped 2002 Jeanneau Sun Odyssey 43 DS, waiting for you to take her on an adventure. Whether you'd like to pretend that you're on a Roman galley or a pirate ship - this boat plays every story, a story that you'll repeat time and time again, long after your cruise is over. Both stories fit perfectly in this area, since the region has historical ties to ancient Rome, and the island of Murter was apparently pirate territory during Venetian times. The pirates used to pillage Venetian merchant ships, so they called it 'Isola del Morte'(the island of death), and it is believed that this is why it carries the name Murter today. Book now and hoist her sails to take off on these adventures on this brave and strong boat!